Every ticket for this show includes a digital download of The Piano Guys’ new album, Limitless. You will receive an email with more details about this offer approximately 7 days after your purchase. US/Canadian residents only. Offer not valid on Resale tickets. Since their serendipitous start in a Southern Utah piano shop, THE PIANO GUYS have proven to be a powerhouse group without limits. Arriving as a musical phenomenon seemingly overnight, the quartet of Jon Schmidt [pianist, songwriter], Steven Sharp Nelson [cellist, songwriter], Paul Anderson [producer, videographer], and Al van der Beek [music producer, songwriter] have delivered bold compositions that transcend boundaries of style and genre, a boundlessness that has since translated into a massively-successful career. Now gearing up for the release of their 2018 album, The Piano Guys make their next step forward in an already impressive career that has proven to be nothing short of Limitless. 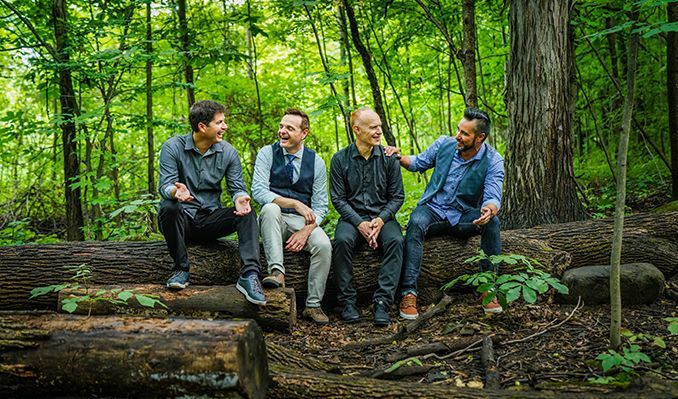 Since formally introducing themselves in 2011, The Piano Guys have released five studio albums, two Christmas releases and a fan-favorite live album, earning six No. 1 debuts on Billboard’s Top Classical Albums chart and garnering an impressive 2 billion-plus global streams, over 1.6 billion YouTube views, and averaging nearly 2 million monthly listeners on Spotify alone. They have sold out concerts in almost every corner of the world and attracted a diehard audience of millions. The Piano Guys have appeared in The New York Times, Fast Company, BuzzFeed, Mashable, People, been featured on CBS Sunday Morning and performed on the TODAY Show, Good Morning America and The Tonight Show. In late 2017, they hunkered down at their own TPG Studios in Utah and commenced work on what would become Limitless. A sublime, soaring, and sweeping cover of Ed Sheeran’s “Perfect” teased out the forthcoming project, generating over 8 million Spotify streams and nearly 20 million YouTube views. Moreover, the crossover of The Chainsmokers’ “Something Just Like This” [feat. Coldplay] and Franz Liszt’s “Hungarian Rhapsody No. 2” further illustrated their signature penchant for masterful mash-ups.